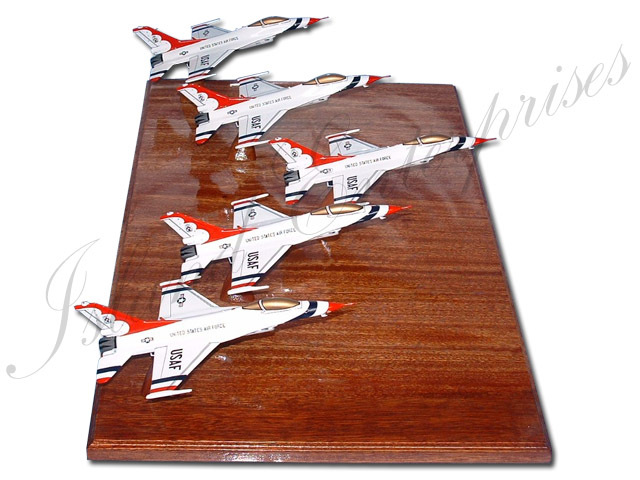 Here's a special project we did for one of our Thunderbird fans...5 F-16C miniature (8") Thunderbird models, flying in formation. You may also customize the base with any carved and painted logos and Text...or other objects as well. AND REMEMBER!!! We offer a 100% money back guarantee if you are not convinced you have bought the best product available on the market!! !